During experience of work on Ukrainian shipbuilding market stuff of our company was participating in agent follow-up of following projects, which before February 2003 were fulfilled by another company. 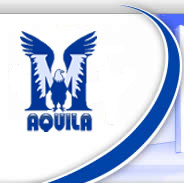 Since February 2003 a new company - "AQUILA" Ltd - was established, which in July 2005 was transformed into "AQUILA-M" Ltd.
B.Nr.9346 - M.S. "Blue Sky"